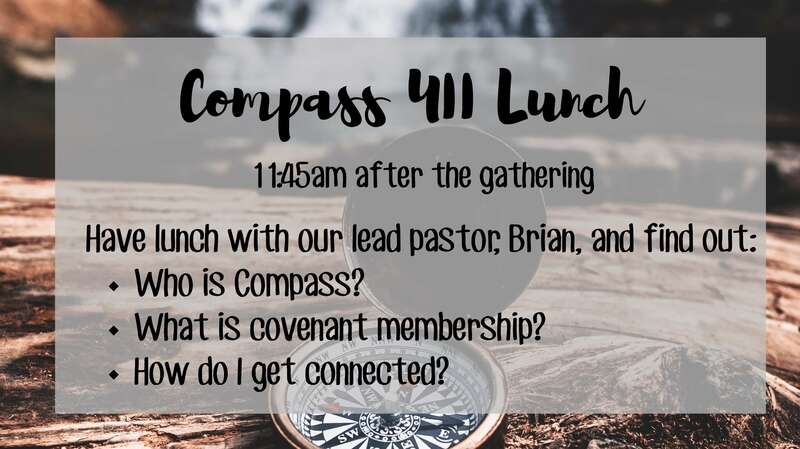 Join us for our new 411 class to get to know our lead pastor, Brian Kilde, and to hear about the mission, vision, and values of Compass Church. Compass 411 lunches happen often. Contact us for the date of the next class! We look forward to hearing from you.